When was the last time 25,000 people watched you drink a glass of water? 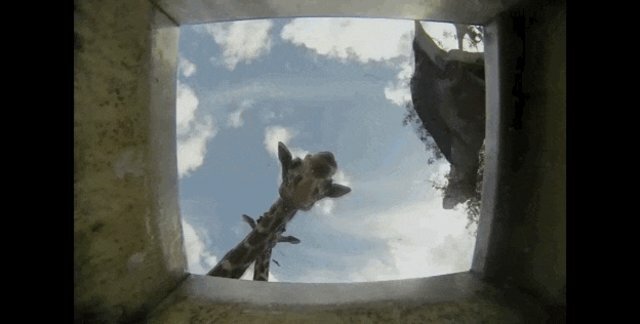 A tall giraffe bends down for long gulps. The animals at the Ramat Gan zoo in Israel are getting a lot of attention for gathering around the water troughs - as well they should. It's fascinating to see such majestic animals so close. A rhino slowly sips up refreshment. 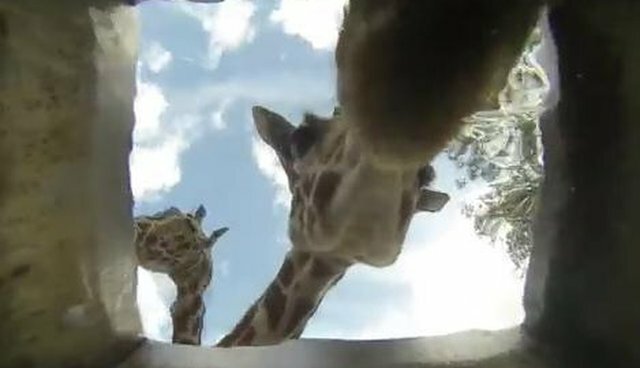 Tel Aviv zookeeper Elad Hershkowitz put GoPro cameras at the bottom of troughs to capture the slurping. 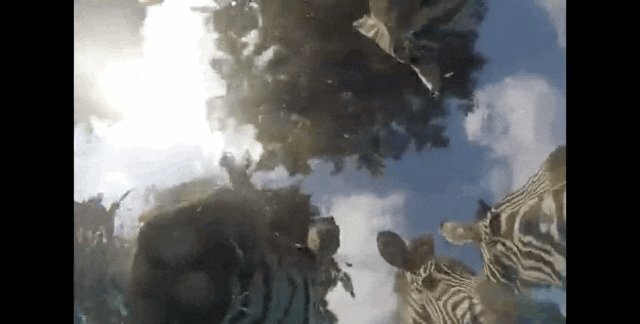 Zebras bare their teeth as they slurp. These stunning shots show how beautiful wild animals are, even when humans take them out of the wild. 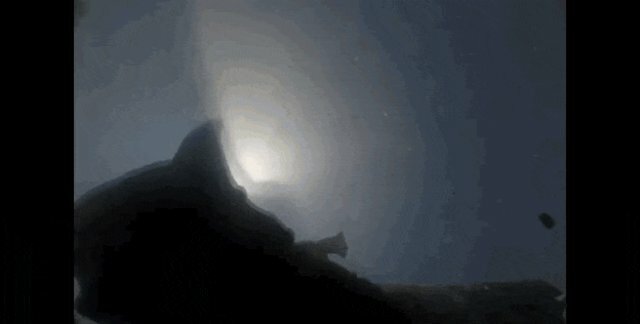 A lion licks water off the surface. Zoos can be difficult places for exotic animals to live. 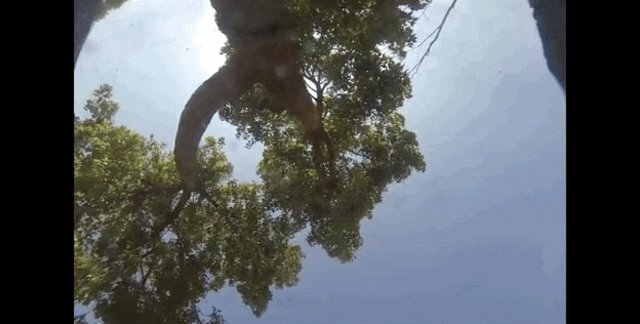 Earlier this year at the same zoo, a 3-year-old gorilla learned a terrifying lesson about life in captivity when she fell into a concrete moat and was rescued by her 8-year-old sister. Let's hope all the awe-inspiring animals in captivity stay safe and quenched.